This book focuses on hot issues in dynamic system reliability, systematically introducing the reliability modeling and analysis methods for systems with imperfect fault coverage, systems with function dependence, systems subject to deterministic or probabilistic common-cause failures, systems subject to deterministic or probabilistic competing failures, and dynamic standby sparing systems. It presents recent developments of such extensions involving reliability modeling theory, reliability evaluation methods, and features numerous case studies based on real-world examples. The presented dynamic reliability theory can enable a more accurate representation of actual complex system behavior, thus, more effectively guiding the reliable design of real-world critical systems. 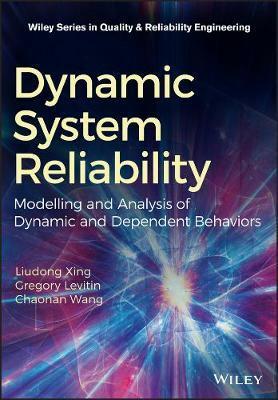 Dynamic System Reliability: Modeling and Analysis of Dynamic and Dependent Behaviors is an excellent book for undergraduate and graduate students, engineers and researchers in reliability and related disciplines. Liudong Xing, PhD, is a Full Professor in the Department of Electrical and Computer Engineering at University of Massachusetts (UMass) Dartmouth, USA. Gregory Levitin, PhD, is a senior expert in the Reliability Department at The Israel Electric Corporation, Israel, and a distinguished visiting professor at University of Electronic Science and Technology of China. Chaonan Wang, PhD, is a Full Professor at the College of Information Science and Technology at Jinan University, Guangzhou, China.